Today, the news is full of autonomous vehicles. Elon Musk’s Tesla is making big waves. Other car manufacturers such as Ford and Toyota have prototypes in the market. Amazon has started its drone delivery service where an automated drone will deliver your package. These autonomous vehicles require little to no interference from a human operator. The future is here, my friends. If you have an autonomous vehicle, such as a drone or a car, you must check out Decentralized Autonomous Vehicles. This startup is taking autonomous motoring to its limits- and beyond. You can rent out your automated vehicles for other people to use. You probably work in your office/organization for the better part of the day. Perhaps the pay is good and you are living a comfortable life off it. On the other hand, you could be struggling to make your ends meet. In any case, need some money. Who does not mind a few extra Dollars every now and then? 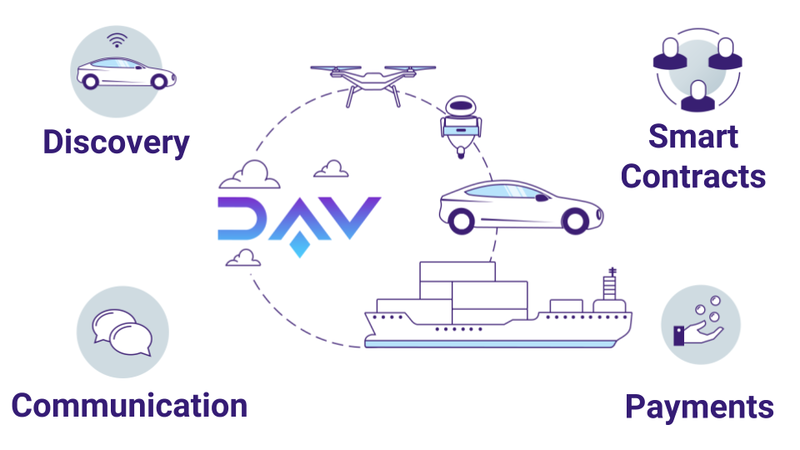 If you have an autonomous car (don’t worry, with the technology advancing rapidly, a better portion of vehicles manufactured will be autonomous in the coming decade and you can be an owner too) you could be working and connect your car to the DAV network. If a person near your car requests a taxi service, your car will automatically go to the customer, pick him up and drop off to his destination, all on its own. You will be working and earning extra at the same time! Do you have a drone? Modern drones have automated functions already. You could charge someone to pick up a package and deliver it somewhere else- Amazon style! You could even rent out your charging ports to other cars and drones and be paid. If you own a garage, you can opt to become a full-fledged service provider where vehicles can come in for cleaning, servicing and repairs. You will be using the DAV token to earn money, or pay for your ride. The token is blockchain based so there are minimum of intermediaries and charges are low. This means more profit for you as a service provider and cheap rates as a user or client. The token is not for sale as of now, but you can sign up for their newsletter and you will be informed of their crowd sale as soon as it is available. This way you can get your hands on the tokens at a cheap price.